Marcel Aucar摄影Sophisticated black, golden in-lays, lustred green velvets and typography grounded in art deco origins create the ultimate holiday moment with a touch of quirky modernity. An enormous wreath made from acorns, luxurious velvet oak leaves, chocolate box treasures and bow details. Like foraging squirrels the viewers found treats hidden throughout the installation awaiting further discovery and exploration – the perfect holiday assortment. Two luxurious scaled chocolate boxes. Gold glitter lined showcases are topped with faceted Perspex bell jars. Encased in each is a scrumptious gift – the perfect holiday treat. 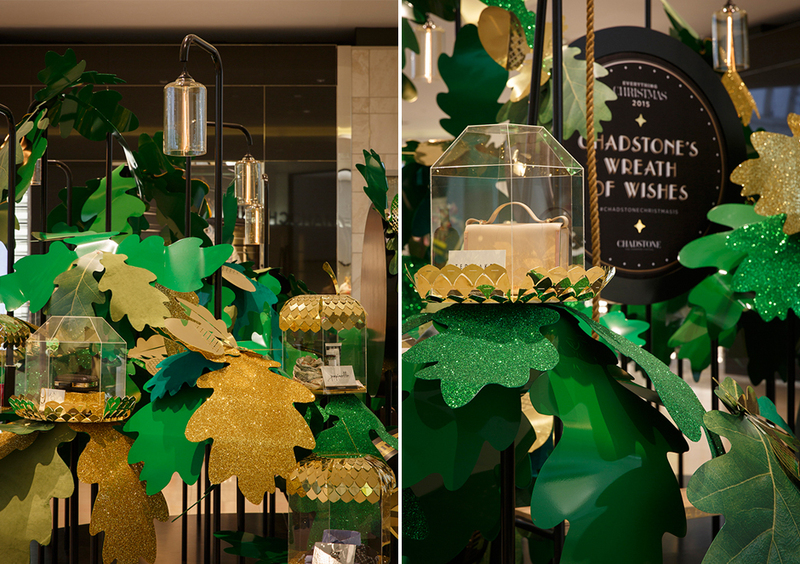 Nestled amongst the foliage were acorn inspired display boxes, each encasing seasonal must haves – gifts for him, gifts for her and gifts of luxury. The colour palette was both fresh and festive with modernity and sophistication. Combinations of soft forest greens, antique chartreuse, sage and oak pop, placed amongst foiled golds, bronze, black and white. 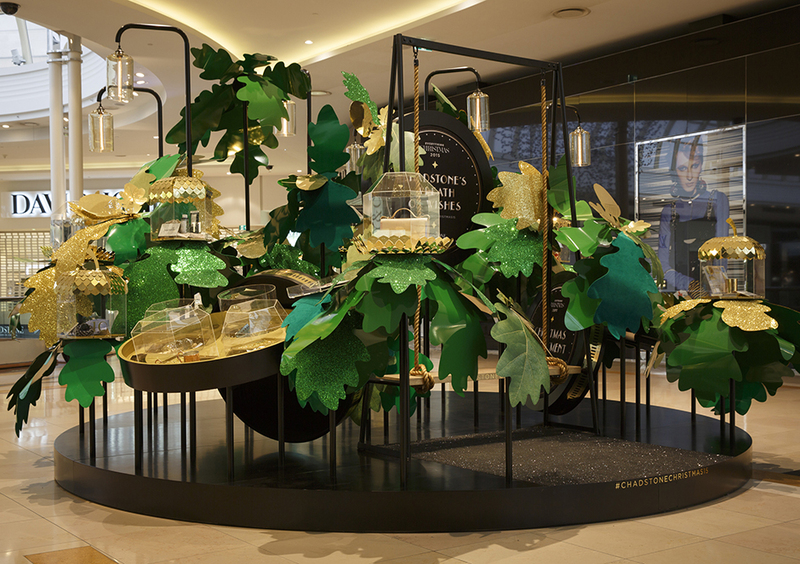 The installation was designed to create a scenic backdrop where customers gathered and foraged for the latest gift inspirations. Customers sat with friends amongst the installation on the Wreath of Wishes swing, creating the perfect festive photo opportunity.